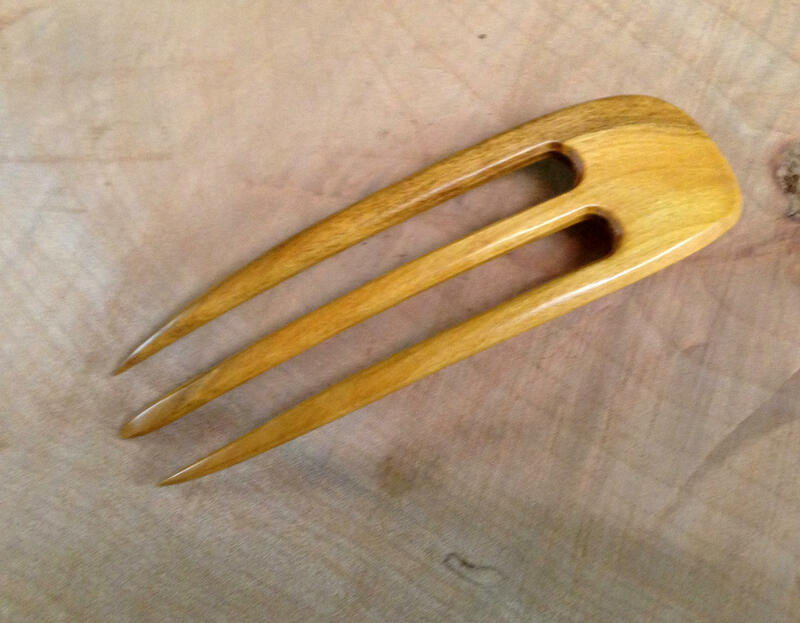 You get One 4.5" Curved Three Prong "Yellow Teak" Hair Fork in this sale. 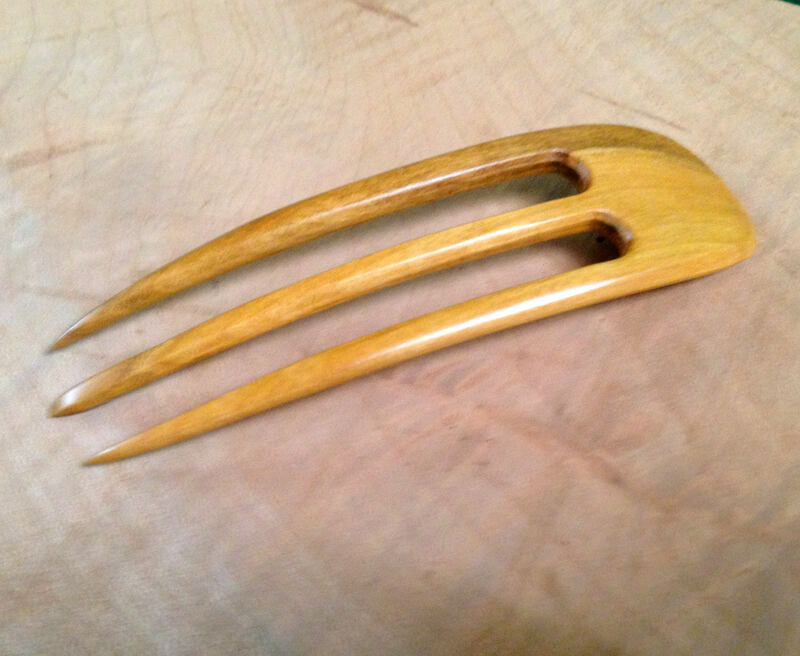 The Hair Fork is 4.5 inches long and Curves to fit the contour of the head. It is about 1 3/8 inch at its widest point and has a maximum thickness of about 1/4". 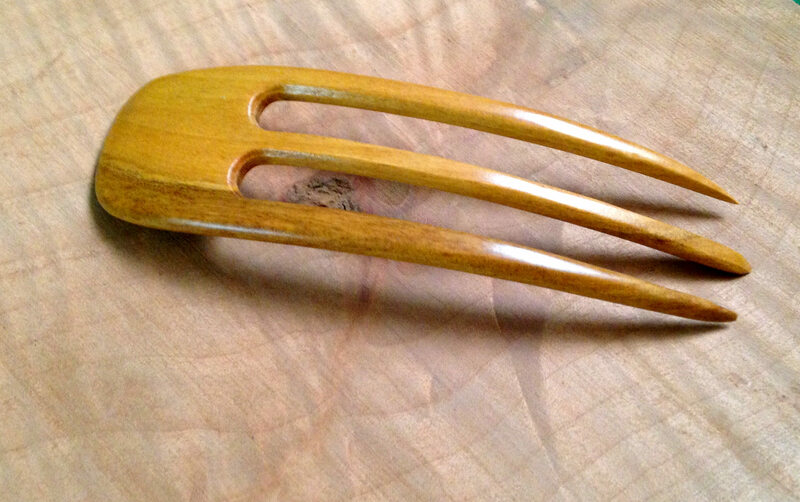 The Curve in the 3-Prong fork allows the use of this fork from the side as well as from the top of the head. I've been told that it is very easy to use and does a good job of holding hair for only being 4.5 inches long. 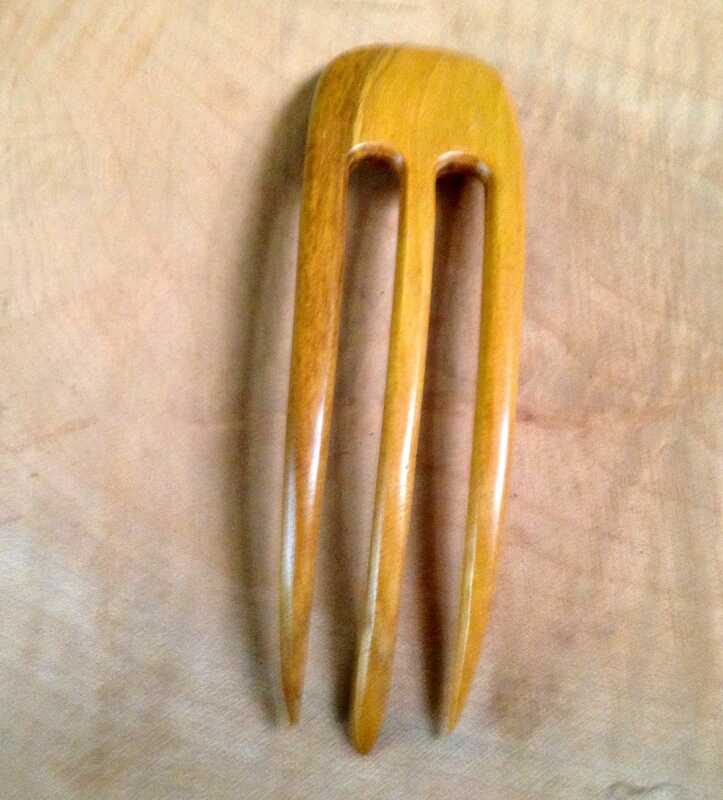 The Functional Prong Length (FPL) is 3.5" for this Hair Fork and varies within 1/4" from piece to piece. I classify this Hair Stick as more functional than "Decorative" in that the intent of this Three Prong Fork is to help hold your hair together with a straight forward product with not a lot of "Bling". This is one of the workhorses in my stable. 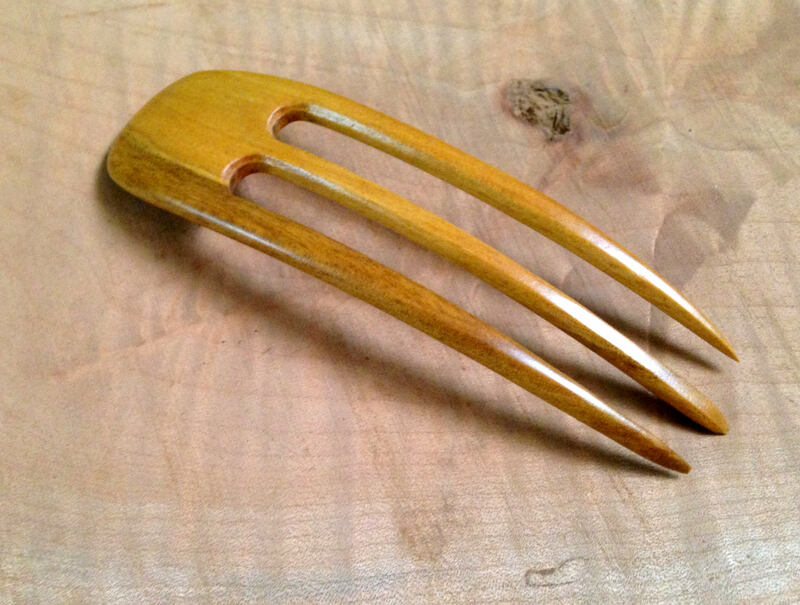 Beautiful hair fork that holds my long curly hair perfectly! You can see the love and amazing craftsmanship that goes into each piece. Thank you for the little extra gift also!